Frequent readers of this blog will know that we (well, some more than others [ahem]) tend to obsess about the proper conceptualization of entrepreneurship, such as whether “opportunity” is a useful construct in the context of entrepreneurship research, and whether this, heavily expanding, research field is best off by thinking of entrepreneurship in terms of “opportunity discovery.” In this brief essay, just published in Strategic Organization, Dr. Jacob Lyngsie (Dept of Strategic Management and Globalization, Copenahgen Business School) and I discuss how the emphasis on opportunity discovery in the literature is accompanied by a neglect of entrepreneurship in the established firm and a tendency to think of entrepreneurs as individuals (rather than teams) (similar themes are discussed in the recent Foss and Klein volume, Organizing Entrepreneurial Judgment). We call for a research effort that systematically deal with how entrepreneurial established firms organize a division of entrepreneurial labor, and on how administrative machinery can be deployed inside firms to foster the motivation, opportunity and ability that drive entrepreneurial behaviors. Not all obsessions are unhealthy! The SO! essay is a worthy salvo, not just a call to arms. I hesitate to call it an opening salvo, only because (as your post intimates) there have been other shots across the bow of the entrepreneurship dreadnaught. In any case, the battle is only just begun. I would like to respond to one paragraph – the new firm bias. 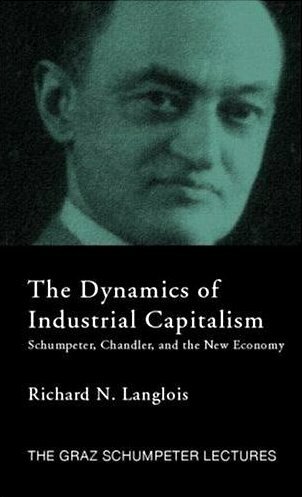 Like nearly all the scholars who invoke Schumpeter’s name in the entrepreneurship literature, you identify the 1912 version of his thoughts. The young Schumpeter saw the entrepreneurial process as new firms supplanting old firms. I believe that there were two reasons for this. First, his perspective was governed by ortgeist: he grew up in the Habsburg Empire, which had not seen the industrial revolution that Schumpeter studied later in the UK and US. 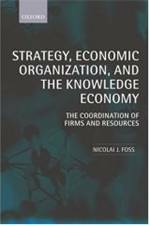 Second, his dynamic theory needed a way to move from stasis (circular flow) to a higher level of development and the convenient fiction of replacing firms with obsolete production functions with new firms with reconfigured production functions served the purpose. Very Weberian. But Schumpeter was already writing of the entrepreneurial function in the “trustified firm” by 1928 and his writings in the late 1930s and the 1940s took this even further, to the point that entrepreneurial action was accorded to members of the top management team in large organizations. He maintained the separation of the entrepreneurial function from the capital ownership function throughout, so as to make the distinction between return to capital (and implicitly, risk-bearing) and the return to innovation. This sets the stage for a nice paper on the distribution of managerial and entrepreneurial functions by one of Schumpeter’s colleagues, Fritz Redlich, and the young Alfred Chandler, Jr. (“Recent Developments in American Business Administration and Their Conceptualization”, The Business History Review, Vol 35:1, 1961.) You can see much of Foss and Lyngsie in these pages. The study of the entrepreneurial function, and the returns to it, in firms other than startups is of paramount importance to the advancement of the research field. To engage in this, as you and Jacob state, requires us to leave behind some other convenient fictions. The one I see at most risk from your project is the fiction that has been held up as the distinction between the entrepreneurship and strategic management fields. One last thought. This may be the battlefield that permits the microfoundations project to advance through new empirical analyses. Clearly the need to locate the nexuses of entrepreneurial action within the large, extant firm is an important goal of the microfoundations project. However, one of the sacrifices necessary to win the war will be to permit causal mechanistic models without downward causation to be captured, tortured, and executed. Good point, Randy, about Schumpeter. On his 1928 essay, which marked a radical shift in his perspective on firm size, see the recent translation and accompanying commentary by our friend Thorbjørn Knudsen and Markus Becker in Advances in Austrian Economics 6 (2003): 199-266. Randy, Very good points indeed! I actually thought of making a condensed version of the point you make, but there wasn’t space for it in the essay (I believe Peter and I say in our 2012 that Schumpeter is a bit of an outlier (!) in the eship by paying attention to the entrepreneurial established firm). Also, a very nice point about how microfoundations may play out empirically. Jacob and I have a bunch of papers in the pipeline on firm-level entrepreneurship where we link firm-level survey data with register micro-level data.